Gold Coast Airport’s forthcoming hotel will offer a rooftop viewing deck. 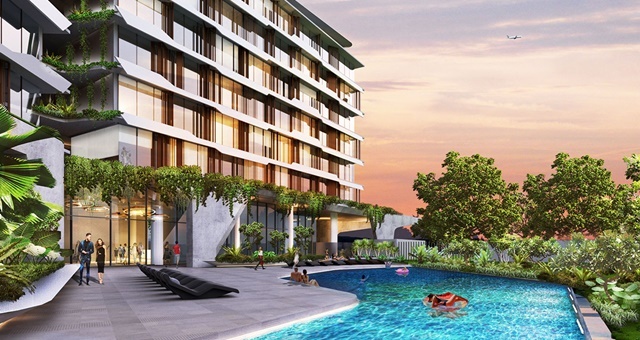 The development of a new 4.5-star hotel in the Gold Coast Airport precinct is now a step closer following approvals received this week from Minister for Infrastructure, Transport and Regional Development Michael McCormack. Set to feature 192 rooms and a conference venue, the new facility is expected to drive business in and around the precinct, which is tipped to cater to more than 9,000 jobs within the next 20 years. The property will overlook Kirra Beach and the airport runway and will feature a rooftop bar and viewing deck. “Our approval of the Queensland Airports Limited (QAL) plans shows the Government’s commitment to supporting developments which will strengthen our economy and generate investment and jobs both during construction and into the future,” Minister McCormack said. Queensland Airports Limited CEO Chris Mills said the hotel was a great project for the Gold Coast and Northern NSW. McPherson MP and Minister for Industry, Science and Technology Karen Andrews says more and more people are coming to the Gold Coast to work and holiday and this new hotel will provide a new option as a base during their visit. Rydges has been signed to manage the new hotel, on which construction will shortly begin with a view to opening in 2019.